Zakir Husain Delhi College, formerly Zakir Husain College, Anglo Arabic College and Delhi College, founded in 1692, is the oldest existing educational institution in Delhi, and is a constituent college of the University of Delhi, offering undergraduate and post graduate courses in Arts, Commerce and Sciences.It has had a considerable influence on modern education as well as Urdu and Islamic learning in India, and today remains the only Delhi University college offering BA (Hons) courses in Arabic and Persian. · Assistant Professors - Candidates should have a good academic record as defined by the University of Delhi with minimum 55% marks in the relevant subject and National Eligibility Test (NET) cleared by the UGC/CSIR. Rs 500 for UR/OBC categories and No fee for ST/SC/PWD and women candidates. The application fee should be made through online payment mode using Credit/ Debit card or Net Banking. 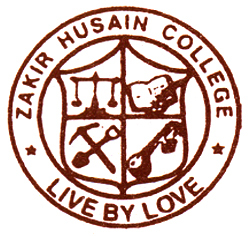 Assistant Professors Applications invite online from official website of http://www.zakirhusainpgeve.in within 02 weeks from date of advt published in the newspaper (Approximate last date is 08-06-2017).